This high set timber home in a well-established premium neighbourhood, backing onto national park, has been tastefully renovated throughout, and boasts a fabulous family-friendly floor plan that can facilitate dual living. Over two levels, the home is complete with four bedrooms, three bathrooms, an elegant modern kitchen, three living areas, north facing front deck, large enclosed rear deck, huge storage area, and double lock up parking under, gated side access to bring in a boat/caravan, plus off-street parking for another two vehicles, on a beautifully landscaped 660m2 block. Presentation shines, and features include sweeping views from the north over Lake Weyba to Coolum's first bay in the south, cosy fireplace to keep you toasty and warm on a crisp winter's evening, ceiling fans for summer, stone benches and 2-pac soft close cabinetry in kitchen, gas cook top and gas hot water, attractive bay window off master bedroom, generous storage, and a luxury deep standalone bath in ensuite with hinterland viewsoak in the bubbles with a glass of wine and witness a spectacular sunset! •	Presentation & lifestyle SHINE! As stylish and gracious as the home is, it is also charm-filled and comfortable - the renovation has enhanced and added to what was already a property with good character and heartyou'll feel the warm ambience as you enter, and it's very easy to imagine living here. Backing onto Noosa National Park, privacy is protected, and the outlook is maximised; the rear garden is fully fenced and child/pet-friendly you can keep an eye on the children playing outdoors whilst enjoying a chilled drink of choice, or a freshly brewed coffee. 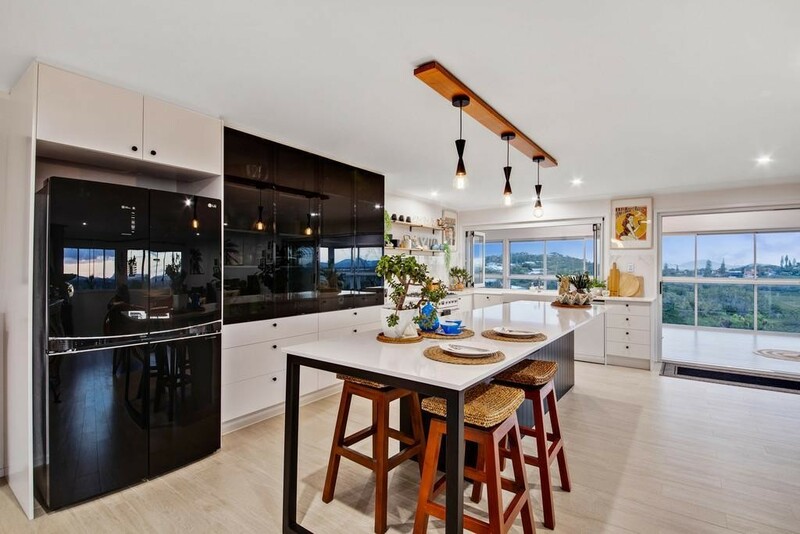 The beach is less than a 10-minute walk, and the amenities of Peregian Village are a short drive to the south, with Noosa 15 minutes to the north; this is a golden lifestyle location loved by all who live and visit, and in a home like thisit just doesn't get any better!